Drives will fail, it happens. Part of my job as a consultant is to troubleshoot existing SCCM environments and I received a request to move content from a failing to drive to a new drive on a SCCM DP. The environment has been upgraded to the latest branch SCCM CB and the DP was also PXE enabled. Originally the customer had planned to copy and the content manually. The customer knew about the Config Mgr Toolkit for SCCM 2012 but they didn’t think it applied to their environment as they are on Config Mgr 1706. I advised the customer that the toolkit was still relevant and I used the ContentLibraryTransfer.exe tool to move the content. Step 1- Verify that the DP is not in use. This was a smaller customer so I was able to schedule downtime for this distribution point. If the DP is in use, all content may not transfer successfully. 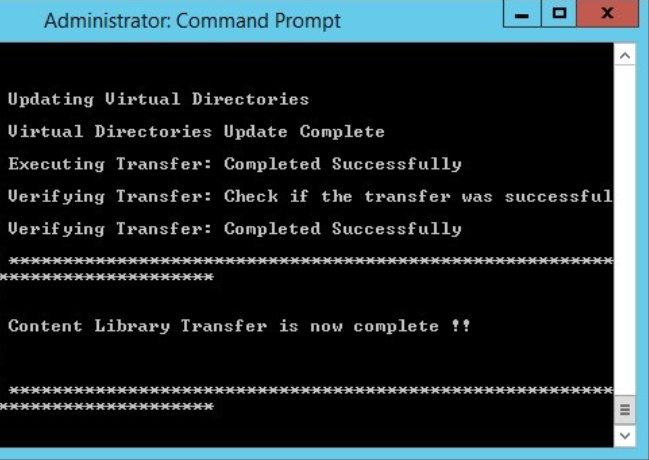 Step 2 – Navigate to the location of the toolkit folder where ContentLibraryTransfer.exe resides and run the transfer command. 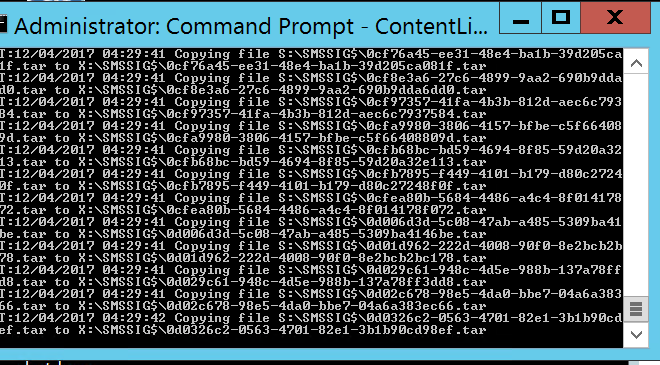 The command line I used was ContentLibraryTransfer.exe -SourceDrive S -TargetDrive X . The original drive that had the content was on the S drive and I moved it to the X drive. Step 4 – After a successful transfer, I got this message and clicked on the drive to verify contents. Once this was done, I re-added the DP to any distribution point group it belonged to before.